This year, I have decided to be intentional about a few things and one of them is taking the time to read more. I love reading and I believe it’s GOT to be a part of your life if you want to be a leader who grows as your business does. Leaders are readers. So, last month we read a book that was both extremely challenging and amazing. It was a month of deep introspection and being honest with myself. We read Daring Greatly by Brene Brown. I wanted to start the year off with a little bit of breaking down so we could build back bigger, better, badder than ever. There were a couple thousand who took on the challenge to read this book with me. Just let that number sink in for a minute. A couple thousand people opened up and got real with themselves about a very hard topic. Together we walked through the book and were honest about our own shame. If you breathe oxygen and are living, you should read this book. Michael is reading it now so we can walk through it together. We all carry shame around. I’m working toward shame resilience. As my business gets bigger there are more people that don’t like me for it but, as I learned, even worse, is that there are more that love me for it. It’s so easy to be completely destroyed by the worth that we attach to what we create. Q: How would your life look different if you no longer evaluated your worthiness by weighing the reaction of the people in the stands? A: I’d sure be a lot more content with what I have been able to achieve. For some reason, the stands shout at me that it’s not good enough and someone else is always better. Q: Who are the people who are with you in the arena? A: My husband is always standing shoulder to shoulder with me and my friends are back to back. I have a group of about 4 friends that are extensions of me. They’d stand next to me and fight to the death even if they knew I was wrong. In business I have a group of leaders that I am so blessed with. they stand in a big circle with me in the middle of the arena. Always there to stand up, give me constructive criticism with love, willing to have my back, willing to say what they do behind my back to my face. You need that in your business. Seek that out. Q: Who are the folks that you most often picture in the stands? -My mom (which is nuts because y’all I LOVE and miss my mom like crazy). She was just critical of me like she was of herself. -A person that used to be a friend and more than once used, abandoned and hurt me for their own gain under the guise of good and God. -Every person who has written something hurtful to me or called a name in a message or email without knowing me at all. I’m going to be honest this part of the stands is becoming a packed house. -The critical YL members that have been in business for longer than me. Q: I’m often my harshest critic. I see myself in the stands criticizing and judging. Are you in the stands? A: OH HELL TO THE YES! I’m the loudest person on my feet yelling and pointing. Q: Have you ever attached your self-worth to how something of yours was received? A: Every single day. EVERY SINGLE DAY. My entire worth is attached to the Lemon Droppers right now. It happened overnight. One day I was a crafty, photography mom and the next I was running a multi-million dollar producing business. It became me. I became it. Stepping back into that person that works normal hours and has normal conversations with friends is scary. Do people like that original person? Q: How did that affect your ability to share it with others and navigate the reaction of others? A: It makes me defensive, it makes my heart hurt at the harsh criticism I receive. It makes me feel alone to be the one to stand and take the abuse that comes our way. It’s so false. It makes me scared to be the one that goes first and takes all the blame. The way people feel about my character is up to them and it’s not up to me to change their minds. I know in my heart, my friends know, my family knows and God knows my values and they all know I’m doing the best I can with what I know. In theory, that’s all that matters, but I have those ridiculous, horrible emails and messages memorized. The list goes on…I get at least 20x the positive messages as I do the hurtful ones but I remember the hurtful ones. I immediately puff up and get mad for all the work I’ve done to be cut down by another grown adult and then those words just swirl around each time it’s time to make another hard decision or step out with a new idea. Q: How does this quote make you feel about your business? Do you attach your self worth to the way people receive your love of essential oils and your business? A: I don’t much worry about how other people receive my love of oils. I am in love with them and I want everyone to know. If my lifestyle and healthcare isn’t for everyone, I am 100% okay with it. Pressuring is the fastest way to end a relationship. If they don’t want it, I have NO problem never talking to them about it. On the business end? Well, that’s a different story. Those people depend on me to help them see success. Much of my actions during my working (and let’s be honest non-working) hours are because I don’t want to let people down or disappoint them. I will continue to do more, more, more because people ask me and I know a “no, I can’t” will equal a really nasty email or a blame for their failing business. I have to stop. My work hours would be a lot happier and more productive for the whole group if I didn’t evaluate my worthiness by the reaction of those that don’t actually know and love me. What if I didn’t take on the responsibility if someone used me as an excuse for their business not taking off? I’d have saved a lot of money, heartache and time this year. Q: What are your “gremlins,” and what do they say to you to prevent you from moving forward? You know what? I am not, nor will I ever be a victim of what people say about me. I have people in my life (family and amazing friends) who love me. I belong to them and they belong to me. You cannot buy that. I am so blessed. I owe so much to my people that I can never repay. We all have our crap. We do. None of us are 100% shame resilient. We are working on it. I continue moving forward. I’m tough and I can do hard things. So can you. This book gets FIVE STARS from me. You gotta read it. i have been following your blog for a few years because of our mutual love for project life. I never thought we’d meet in real life. I never thought we’d have something else in common that we are so passionate about. We are moms who want to take care of our families the best way we can and we both love our young living oils. But more than that, sweet lindsay, i want you to know you have helped me discover who i am instead of who my former job or former church thinks i should be. you have helped me stand firm by your example of standing firm. and through that standing i have found my own voice. with success, there will always be naysayers. Their voices don’t matter. There are far more of us who love and appreciate you and I am close to the top of that list! Elisa, You are such a blessing to me. I love you very much and I admire your unique vision for your business! I love that you are a Lemon Dropper with me. You are a bright light. Thank you. I read Daring Greatly and also LOVED it! I hate to disappoint people, but I also always want to stand up for what I believe is right. Because of these two things, I have had many difficult years! People don’t like when you are different, believe differently than they believe, live differently than they live, spend your free time differently than they spend their free time…people who don’t Dare Greatly, don’t like when others do. People don’t like when your actions call them out on their lack of action. Even though I KNOW this and I have spent years saying, “I am different and that’s ok”, I guess that it is really hard to still feel “ok”. Daring Greatly really opened up my eyes to the shame and guilt that I was feeling! It helped me to see even more that it is ok that I am not going to please everyone and it is ok if I fail! What a relief! I would have never picked up this book if it wasn’t for you, Lindsay…thank you SO MUCH! 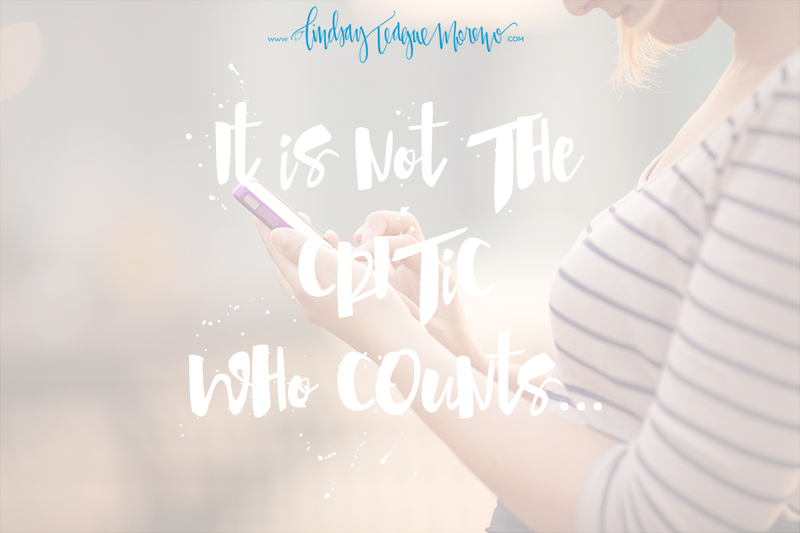 I’m a blogger too and posted about what I learned…blogging really helps me get all of my crazy ideas written out and thought out! I’m so glad, Emily! Thanks for being a part of this and for daring greatly!! powerful and inspiring. we all struggle, your transparency shows us that you are real, that you have heart and that it matters. you have a much BIGGER purpose for those that stand in the stands cheering for you, appreciating you and feeling grateful for you. you have shown so many of us what IS possible. I have witnessed the lives you have touched, including my own, the hope you have given and that is MORE than any of the ones that say different. I just wanted to say, thank you for always showing how big your brave is Lindsay. From the first video I ever saw of you talking about this journey and the Lemon Droppers, I knew I was in the right place, with the right group because of your willingness to be real. Speak your truth. I wish I could send you a hug, but I’ll settle for sending a huge heartfelt THANK YOU. Thank you for simply doing you. As I read this book I realized it was exactly what I needed if I was to move forward not only with my life, but with being a Lemon Dropper too. It hit home to me in so many ways. I felt like it was speaking directly to me with exactly what I needed to hear to grow and break down the voices in the stands who don’t truly believe in me. Because you challenged us to read this book, and I love to read so challenge was happily accepted, and I took the time to read it I can truly say the baggage I’ve carried for years is going away. I know because of this book and you’re challenge to dare greatly I am becoming a better person. Thank you! I love this. This was so raw and so real. You are an incredible person, Lindsay! Your stands are full because you have chosen to stand in front of all us LD’s and be the one that charges forward so our stands aren’t as packed. I have a great deal of respect for you. You lead with grace, kindness, humor, and loyalty. You are innovative but humble. You pretty much rock my socks off. So keep on keeping on. Keep traveling the road less traveled, keep pushing through the crowds, and know that your arena is SO SO full. Love you lady! So, the hubby made me watch The Interview over the weekend. Must admit, it was pretty funny. If you’ve seen it, you’ll recognize the line “they hate us ’cause they ain’t us.” I can’t stand the word “ain’t” and actually don’t consider it a word. That being said, I love that line in the movie. It made me think of you and the Lemon Droppers. They hate us ’cause they ain’t us. We love you, Lindsay! I rejoice in your success! Thank you for giving women permission to be successful! Hey Sister. Way to be real and honest and YOU. On behalf of all who love you~ bless you and thank you for all you do. On behalf of all the haters, I am so sorry for all those who have allowed their insecurities to leak out onto you and try to tear you down. Keep looking up and just pray for God’s love to heal those hurting ones. You are great just because you are His daughter, no matter where you fall short, no matter how high you reach. You are always His number One. Lindsey, I have my own successful business that I plan on leaving bc I love YL and being a Lemondropper more. You are hands down one of the best leaders I know. Your transparency… and how you talk to us like we are standing in your living room together… I don’t know how you do it but it’s a rare find and I’m blessed to be on your team. I’m thankful for it every day. Thanks for all you do. I’m grateful that you re-posted your answers here for a larger audience to read. That was daring greatly. I found myself having a difficult time reading through the book. Hard to even write this. And so I didn’t end up interacting on the book club page much. I can read a 1,000 page fantasy novel without a problem. Quickly. Non-fiction, learning something new…I’m totally an audio/visual learner. It’s how my brain is wired. So, I’m listening to her teach via YouTube. (Found a 6 hr. recording.) I keep having to pause it and say to myself (and God,) “oh, that’s IT…I get it now…I do that…oh, crap.” Thank-you for leading from this place of vulnerability and reaching out to each us with the invitation to join you there. I wouldn’t want to be anywhere else.